Use this simple apparatus to measure relative humidity. Includes two plastic-backed Celsius thermometers, one for dry bulb measurements and the other for wet bulb measurements. 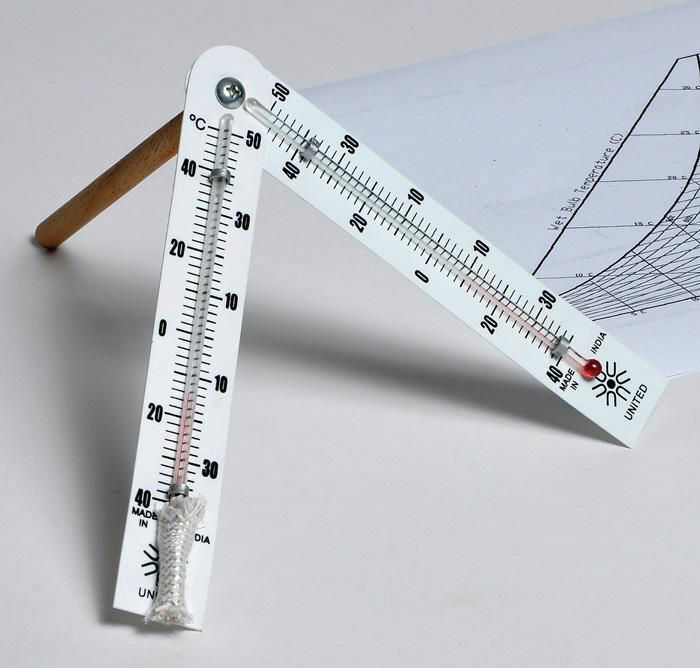 The thermometers mount on a wooden handle so they can be spun to obtain temperature readings. Delivery information: Includes an activity guide and relative humidity calculation table.